A fugitive alchemist with mysterious abilities leads the Elric brothers to a distant valley of slums inhabited by the Milos, a proud people struggling against bureaucratic exploitation. Ed and Al quickly find themselves in the middle of a rising rebellion, as the exiled Milos lash out against their oppressors. At the heart of the conflict is Julia, a young alchemist befriended by Alphonse. She'll stop at nothing to restore the Milos to their former glory – even if that means harnessing the awful power of the mythical Philosopher's Stone. 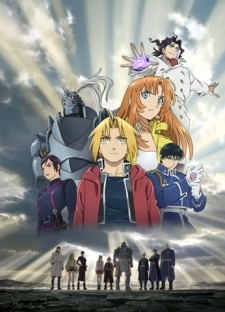 Watch Fullmetal Alchemist: The Sacred Star of Milos Episodes Online at Animegg.org. Fullmetal Alchemist: The Sacred Star of Milos is available in High Definition only through Animegg.org. Choose an episode below and start watching Fullmetal Alchemist: The Sacred Star of Milos in Subbed & Dubbed HD now.